Filed to: The Big Bang Theory!Filed to: The Big Bang Theory! Back in November of last year Lego announced that it would be making an official The Big Bang Theory! set based on submissions made to its Lego Ideas site from fans of the building toy, and the sitcom, in Sweden and the US. 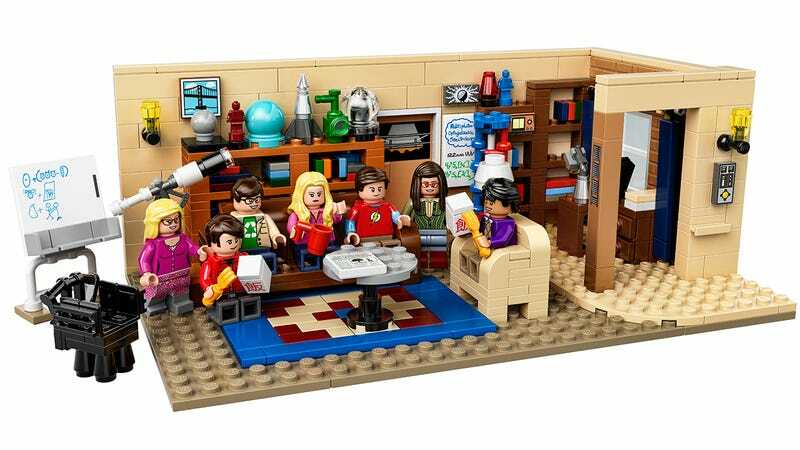 And while most of the Minifigs that will be included with the new set were revealed yesterday, today we get our first look at the final version of Leonard and Sheldon’s living room. Besides all of the living room’s nerdy knick-knacks and collectibles that are now available in Lego form, we also get a look at the Amy and Bernadette Minifigures that will join the rest of the show’s miniaturized characters including Leonard, Sheldon, Penny, Raj, and Howard. The official set will sell for $60 when available come August, giving The Big Bang Theory’s most die-hard fans the opportunity to finally act out their own scripts with the show’s characters without having to risk restraining orders from repeatedly asking the real-life cast to just play along.